Ramatuelle men's swim short Reef. 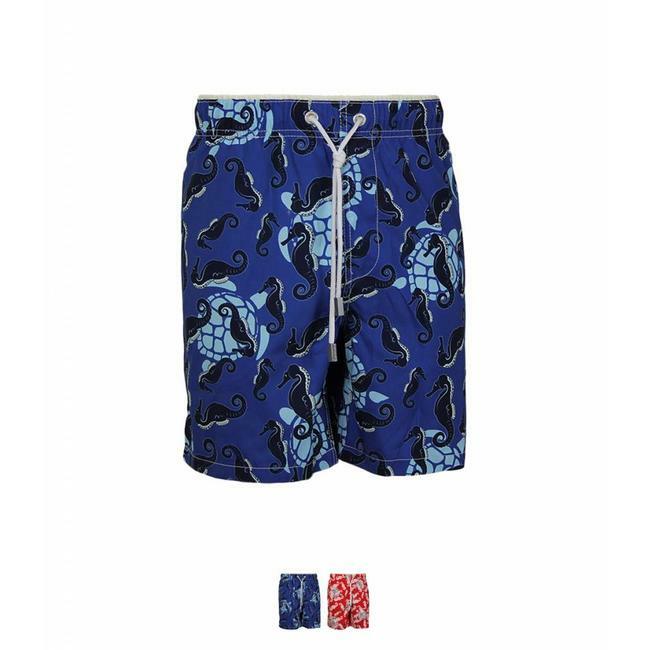 A classic style swim short with all-over Seahorse and Turtle print. Read more..
Reef is a classic fit and available in colour navy and red. Contrast details are in linnen colour, which is so very typically for Ramatuelle. The short looks sturdy, but classic at the same time. At the inside of the short there’s a innerpocket, which can be used for your creditcard, coins of the key of your hotelroom. Available from size S to 3XL. Ramatuelle men's swim short Reef. A classic style swim short..